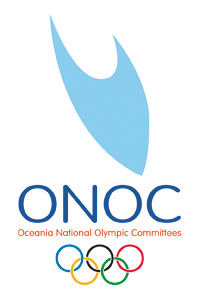 Finau ‘Ohuafi competed in Swimming at the 2018 Youth Olympic Games. Finau was in Japan at the ONOC-Fukuoka Training Camp for the month of September in preparation for the Games. Genina is middle distance athlete, bronze medallist at the recent Pacific Mini Games, Vanuatu. She dominated her discipline at the 2018 Micronesian Games. Genine was at the ONOC - FUKUOKA Training Camp in September. Lataisi is high jumper without mats in Kiribati, his determination to excel in his discipline secured him a spot at the Fukuoka Training Camp. Tasi as his commonly known by his friends displays a promising future while training at Miyako Town. Mineri a seasoned swimmer fresh of her campaign at the Oceania Swimming Championship, joined her Oceania swimming peers' at Miyama City, Fukuoka Prefecture. Lowe Bingham has been wrestling for 5 years, recent participation internationally at Commonwealth Games. He attended the Fukuoka training camp to further his technique. J-Vick with more than a year of experience as a wrestler, being at Fukuoka Prefecture was an opportunity to learn new skills and techniques that will benefit is development pathway towards next Olympic Games and other international events in the near future. "2018 Salem’s Senior Wrestler of the Year. Finished his high school career with 82 wins, 54 falls, a 2-time state placer, a 2-time conference champion, and a state champion. " "Paul is currently the top Long Jump athlete in Guam and has represented Guam since2012, including the IAAF World Junior Championships and Oceania RegionalChampionships in Athletics. Most recently in June he earned the title of top long jumper in Micronesia by winning gold at the 2018 Micronesia Regional Championships in Athletics." Dan-Hero joined the sport of wrestling to stay heathy and loose weight. 2018 Oceania Championship, Gold medalist in the 74kg Men's Senior Freestyle division. His a dedicated wrestler setting his vision to Tokyo2020. 15 year old student athlete Noelani pursues her dream of swimming without the proper facilities in Tonga. She was one of three swimmers that benefitted from the ONOC - FUKUOKA partnership. Noelani is an active member of the Talitha Project, a girl empowerment NGO and have coordinated Learn-to-Swim programmes in her village.